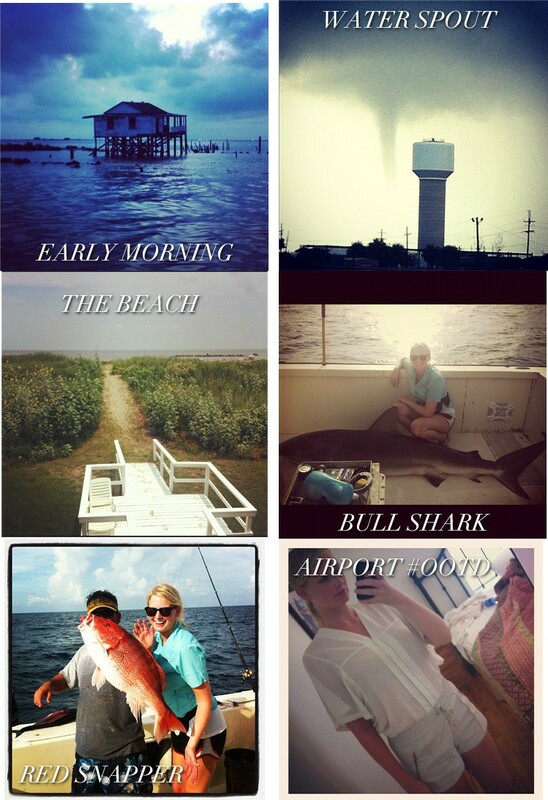 I’m finally rested up following a very exciting and fun weekend in Grand Isle, Louisiana with family. From witnessing my first water spout (aka a water tornado) to having a friend catch a bull shark weighing in at over 200 lbs, Grand Isle was chock full of surprises and firsts. I stuffed my face with the best shrimp po’ boys of my life and caught many a trout, a couple red snapper and a baby shark. I hope you all had as fun this past weekend as I did!